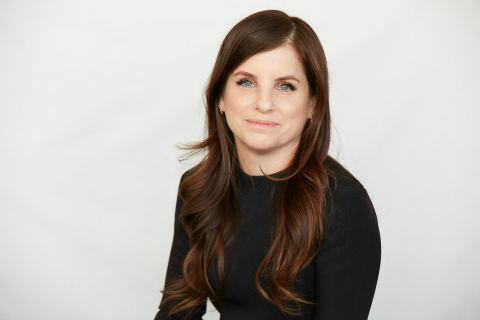 Revlon Names Debra Perelman President and Chief Executive Officer | Revlon, Inc.
NEW YORK--(BUSINESS WIRE)--May 23, 2018-- Revlon, Inc. (NYSE:REV) today announced that its Board of Directors has named Chief Operating Officer and Board member Debra G. Perelman President and Chief Executive Officer, effective immediately. Ms. Perelman will be the company’s first female CEO. Statements made in this press release, which are not historical facts, including statements about the Company's plans, strategies, focus, beliefs and expectations, are forward-looking. Forward-looking statements speak only as of the date they are made and, except for the Company's ongoing obligations under the U.S. federal securities laws, the Company undertakes no obligation to publicly update any forward-looking statement, whether to reflect actual results of operations; changes in financial condition; changes in general U.S. or international economic, industry or cosmetics category conditions; changes in estimates, expectations or assumptions; or other circumstances, conditions, developments or events arising after the issuance of this press release. Such forward-looking statements include, without limitation, the following: (i) the Company’s plans to amplify its strategy and accelerate growth, as well as drive the company to compete and thrive in today’s dynamic environment; (ii) the Company’s plans to further innovate through technology, enhance its iconic brand portfolio and invest in e-commerce as a growth driver; (iii) the Company’s belief that Ms. Perelman’s global perspective, financial acumen and holistic approach to brands, consumers and technology will help Revlon reclaim its leadership position and that she will bring fresh vision, innovation and success to Revlon; and (iv) the Company’s belief that Ms. Perelman’s extensive experience at both MacAndrews & Forbes and Revlon, as well as her track record for innovation and breaking paradigms to compete in today’s digital and consumer-first environment, make her the ideal leader for Revlon. Actual results may differ materially from such forward-looking statements for a number of reasons, including those set forth in our filings with the SEC, including, without limitation, our 2017 Annual Report on Form 10-K that we filed with the SEC in March 2018 and our Quarterly Reports on Form 10-Q and Current Reports on Form 8-K that we have filed or will file with the SEC during 2018 (which may be viewed on the SEC's website at http://www.sec.gov or on our website at http://www.revloninc.com), as well as reasons including: (i) unanticipated circumstances or results affecting the Company's future financial performance and growth, including decreased consumer spending in response to weak economic conditions or weakness in the consumption of beauty care products; adverse changes in foreign currency exchange rates; decreased sales of the Company's products as a result of increased competitive activities by the Company's competitors and/or decreased performance by in-house and/or third party suppliers; changes in consumer preferences, such as reduced demand for the Company's products, including new product launches; changes in consumer purchasing habits, including with respect to retailer preferences and/or sales channels; higher than expected advertising, promotional and/or marketing expenses or lower than expected results from the Company’s advertising, promotional, pricing and/or marketing plans; higher than expected sales returns related to any reduction of space by the Company's customers or store closures, product discontinuances or otherwise or decreased sales of the Company’s existing or new products; actions by the Company’s customers, such as inventory management and greater than anticipated space reconfigurations or reductions in display space and/or product discontinuances or a greater than expected impact from pricing, marketing, advertising and/or promotional strategies by the Company's customers; changes in the competitive environment and actions by the Company's competitors, including, among other things, business combinations, technological breakthroughs, implementation of new pricing strategies, new product offerings, increased advertising, promotional and marketing spending and advertising, promotional and/or marketing successes by competitors; (ii) difficulties, delays in or less than expected results from the Company’s efforts to innovate through technology and/or invest in e-commerce as a growth driver, such as: (a) the Company’s inability to address the pace and impact of consumers choosing to purchase more of their beauty products through e-commerce and other social media channels, such as its inability to enhance its e-commerce and social media capabilities and/or increase its penetration of e-commerce and social media channels; (b) the Company’s inability to drive a successful long-term omni-channel strategy and significantly increase its e-commerce penetration; (c) difficulties, delays and/or the Company's inability to (in whole or in part): (1) develop and implement effective content to enhance its online retail position; (2) improve its consumer engagement across social media platforms; and/or (3) transform its technology and data to support efficient management of its digital infrastructure; and/or (d) the Company incurring greater than anticipated levels of expenses and/or debt to facilitate the foregoing objectives, which could result in, among other things, less than anticipated revenues and/or profitability; and/or (iii) difficulties, delays in or less than expected results from the Company’s efforts to reclaim its leadership position through intensive innovation, such as less than effective new product development, less than expected acceptance of its new products, less than expected levels of advertising, promotional and/or marketing support for its new product launches and/or less than expected levels of execution with its customers. Factors other than those listed above could also cause the Company’s results to differ materially from expected results. Additionally, the business and financial materials and any other statement or disclosure on or made available through the Company’s websites or other websites referenced herein shall not be incorporated by reference into this release.